We all know about Kateri Tekakwitha, Princess of the Mohawks, but what about all the many converts the Jesuits made down through the centuries, any big names? Red Cloud was a great Oglala Lakota Sioux chief. He was successful in his war against the United States and was famous for saying of the white man: “They made us many promises…but they kept but one. They promised to take our land and they took it.” In 1884, Father Joseph Bushman, S.J. 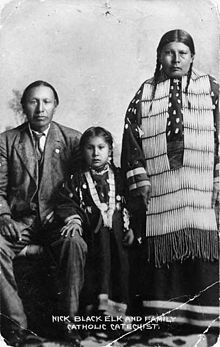 baptized Red Cloud, his family, and five other Lakota Chiefs into the Catholic Church. 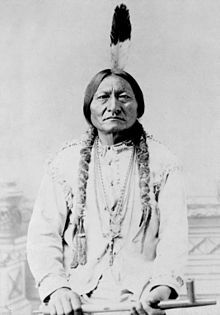 Sitting Bull was another great Lakota (Hunkpapa) Sioux Chief who had helped in Red Cloud’s war. He is perhaps most remembered for being part of the 1876 Battle at Little Big Horn in the defeat of General Custer and the 7th Calvary. In 1883, a French priest baptized Sitting Bull into the Catholic Church. Black Elk was an Oglala Lakota medicine man who had visions and prophecies. He was also related to Crazy Horse. 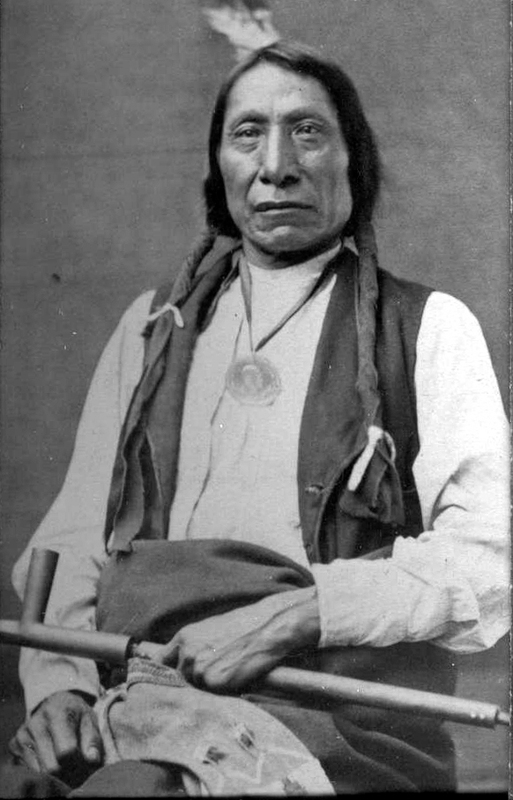 As a boy, Black Elk participated in the Battle at Little Big Horn and was later injured at Wounded Knee in 1890. Fr. Joseph Lindebner, S.J. baptized Black Elk on Dec. 6, 1904. He became a very devout Catholic and spread the Catholic Faith as a missionary and catechist. He was an ex-medicine man who helped the Jesuits persuade other Lakotas out of the pagan practice.